Quality assurance is the process designed to give both management and the customer the confidence that your organization will deliver the quality product or service the customer expected. Quality assurance entails the processes of conducting tests on the product or service to maintain consumer safety and satisfaction. 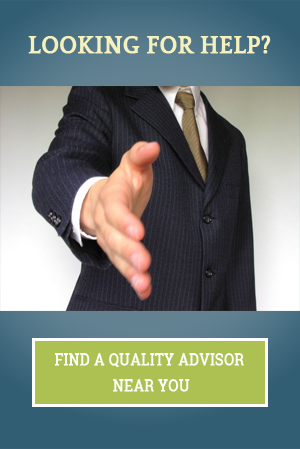 Business or engineering academic backgrounds are the base for a quality assurance specialist. The QA specialist focuses on developing management and process procedures that your business implements within your quality management system to make sure that production of goods are safe, useful and produced in a cost-effective and timely manner. Would you pay an organization for good or services if you lacked trust in the company? If you lost confidence in that company, would you keep paying them? Of course, you wouldn’t. Your business would go out of business if you kept that organization because your customers would lose confidence in you. Looking at the three facets of assurance you can see where on a continuum your business falls in creating customer confidence. Companies verify their product with project reviews and development processes development to see that these processes are properly documented and followed. Product assurance. Companies are able to demonstrate that the product is built that complies with the customer’s requirements. They do this by verifying that every product complies with its specification and by validating that the end product meets the customer’s requirement. For example using ISO 9001 terminology this set of procedures falls under verification and validation. Quality system assurance. Companies demonstrate that the quality management system conforms to established best practice using either ISO 9001 or some other standards required by the customer. This is done using QMS audits and process improvement initiatives. A successful organization that can produce objective evidence of consistent production of a quality product or service is more likely to be a commercial success. One fundamental way this is demonstrated is by having an ISO 9001 certification. Find and correct non-conformances quickly. QA identifies process problems and starts corrective procedures quickly before a defective process produces a defective product. Management confidence. An effective quality assurance function provides management and customers with confidence that the business’s quality management procedures are in place and operate as they should. Management consultant Peter Drucker once said, “…the only thing that happens naturally in an organization is the descent into randomness.” Quality assurance is not a natural function of a business and so must be creatively proactive to prevent entropy. The QA system must have a sound communication strategy in place in order to be able to communicate to clients/customers, management/staff and governing agencies. This strategy needs to be one that minimizes the amount of time spent clearing up any misunderstandings or the need to repeat information to various entities. For example if a local board of regulations is concerned about your quality assurance systems, you will be able to show within a timely manner with documentation proving that you are complying with requirements. Your QA department might consider publishing organizational press releases to educate the public on your programs, products and services. This will also lead potential customers toward having confidence in your products/services and your business. Quality assurance is the process designed to give both management and the customer the confidence that your organization will deliver the quality product or service the customer expected. Using ISO 9001 certification is an excellent way to ensure confidence. Original post can be viewed at isocertsolutions.com.